We’ve been in the Limousine industry for a long time, so we know what to look for in a limousine service so if you’re not a regular at booking limo hire Brisbane, we’ve put together some advice to assist. 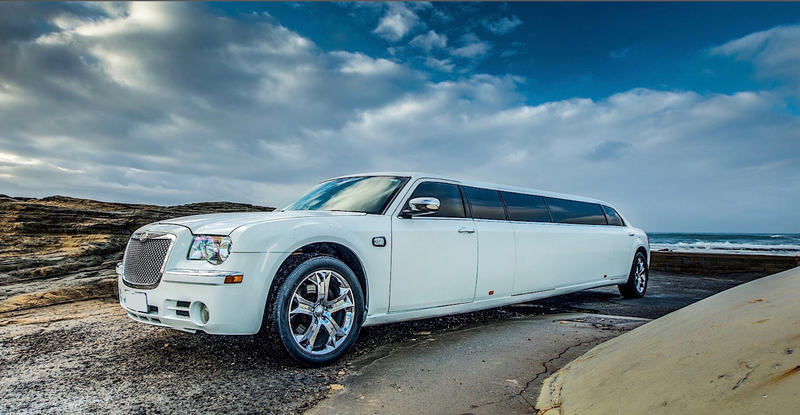 There are a range of limousines your can hire in Brisbane. For example, you can hire a Chrysler limo, hire a hummer limo or hire a Ford LTD limo. Whilst hummers are great if you’re planning a bucks party they are not always suitable for a weddings where you might prefer something more luxurious and less ostentatious. As such, we recommend you hire a Ford LTD or Chrysler Limousine. Of course, for your wedding you don’t want strobe lights and loud music in the back of your limousine, you most likely want soft lighting, luxurious soft leather and a mature driver who makes the ride comfortable. If this is the case, book a luxurious Ford LTD limousine with Brisbane Limousines. Hiring a Ford LTD Limousine with Brisbane Limousines is much cheaper than hiring a hummer and probably much cheaper than hiring a Chrysler limo. Whilst the price is lower, our limousines are just as luxurious and extremely well maintained. We can offer lower prices on our Ford LTD limousines as they are made in Australia (with the limousine also built in Australia), parts are easily available and easy to work on for mechanics. Other limo companies have to spend thousands to maintain their imported limousines which means higher prices for you. Brisbane Limousines has highly trained and skilled drivers whose sole job it is to make your limo hire experience exceptional. Our drivers know that you want your limo hire experience to be a great one and therefore they dress extremely well and turn up early for your limo hire. You can expect that for your limo hire you driver will be dressed in a white shirt and tie, black pants and black shoes. Your driver will open the limo door for you, welcome you inside, offer you champagne and will always driver courteously. 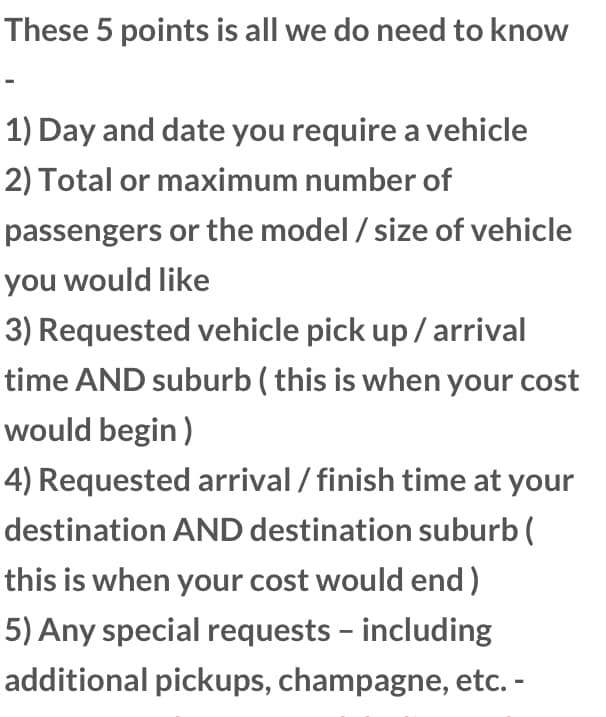 So if this is what you expect from your drivers when you hire a limousine, you should book with Brisbane Limousines. When you hire a limo for your special event in Brisbane, on the Gold Coast or in Ipswich, you are probably wondering exactly what’s included. Some companies have no inclusions in their limo hire prices, meaning that they charge extra for everything. Brisbane Limousines is different from other companies and we can include champagne in all our limo hire rates. If you are looking for wedding limo hire in Brisbane you are likely to also be wanting a luxurious red carpet and a wedding ribbon on your vehicle. 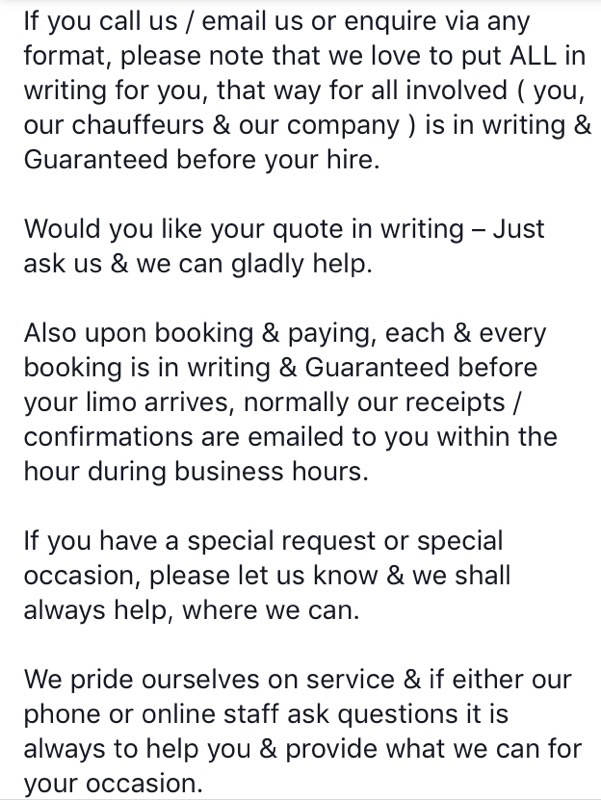 Other companies know this is what you will want for your wedding and will try to charge you extra, but not limo hire Brisbane from Brisbane Limousines. Brisbane Limousines include the use of a luxurious red carpet and a white wedding ribbon in all our Brisbane limo wedding hire quotes. Have a look at our prices for our wedding limo hire and compare it to our competitors and we are sure that you’ll agree its great value.